Join us for afternoon tea to celebrate the launch of our publication Conversations with Jean Prouvé! The publication brings together all five exhibitions we have organised in dialogue with Jean Prouvé’s Demountable House(1944), from September 2016 untill May 2018. 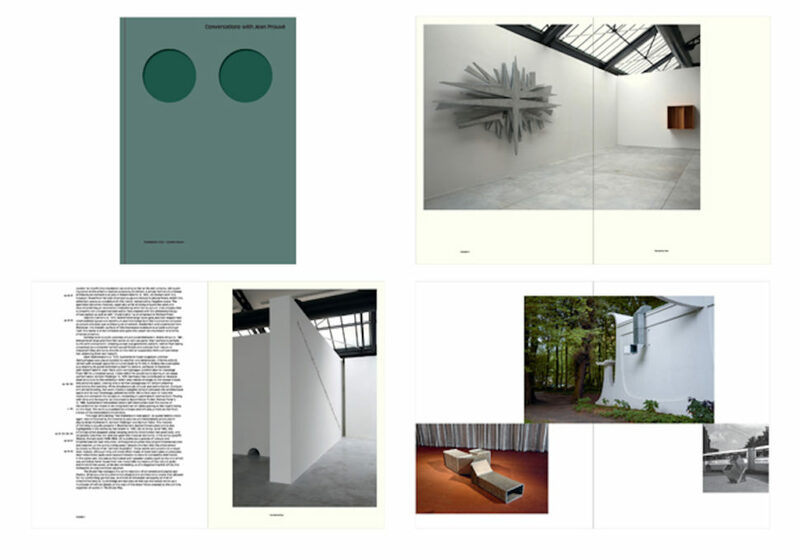 With contributions by Hubert Bonnet, François Laffanour and Catherine Coley, and Matthieu Poirier as well as artist pages by Roel Heremans, Erika Hock, Adrien Tirtiaux, mountaincutters and Charlotte Posenenske (with the help of Dr. Burkhard Brunn, Estate Charlotte Posenenske). The modularity and architectural charateristics of Jean Prouvé’s designs were translated into a unique graphic design by Joris Kritis.